Have you heard the one about the residential realtor, the commercial realtor and the general contractor at a business networking event? This is a true story from October of 2009 Chamber function. It’s not funny like those priest, rabbi and Baptist minister stories. No, there’s been little to laugh about in the real estate and construction industry for the past 18 months. So why is general contractor Gerry Crawley upbeat? His company, ARC General Contracting, currently has 19 jobs in progress and he declared “The recession is over” on March 6 while his business was at a low point that paralleled most of the construction industry. What’s more, employees can smell fear and then they become immobilized according to Crawley. They worry about what is going to happen. Soon, however, he realized during last year’s decline that he was not facing a business crisis but rather a crisis of faith. 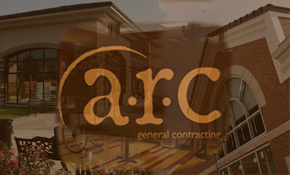 Even though ARC was listed as a Top 25 General Contractor in the Kansas City Business Journal he began to question how good they really were. He surmises that the economy caused every entrepreneur to do that kind of soul searching and begin to understand that the ground rules have changed. “You can bury your head in the sand or make a commitment to change,” Crawley says. For Crawley, change began when he brought in a business coach named Caroline Smith. She helped Crawley examine who ARC was as a business which led to a one-page strategic business plan that he refers to regularly. This streamlined document made the company’s objectives more clear. He now shares the Plan and the company’s financial results at least quarterly with all of his employees. That diminishes fear and builds trust. Now that’s a funny line. It’s easier to laugh when your company is stronger. Crawley has discovered that. And ARC is stronger.